First an apology, the links to the Universal Portfolio paper have stopped working. This is because the personal webpage of Thomas Cover at Stanford has been taken down, but fortunately the content moved elsewhere. The new link is Universal Portfolio and hopefully this one will be stable. Note that there are many available copies on the web but most (like this one) are for something that seems to be a slighly reworked version dated October 23 1996. The text appears mostly identical to the published version, but it does not include the figures. In the rest of this post, I discuss the data used by Cover. That data is included in logopt as nyse.cover.1962.1984. 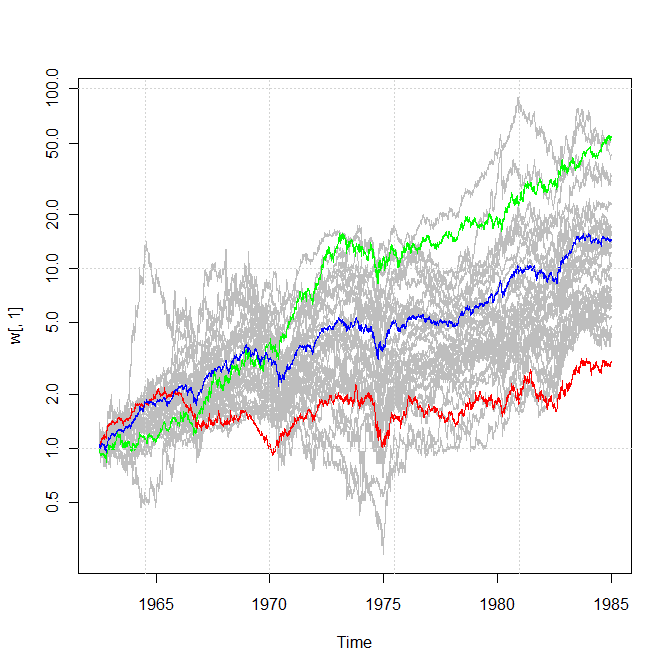 It contains the relative prices for 36 NYSE stocks between 1962 and 1984. The names are not stickers, some guessing and with some help from an other person using the series gives the table below (and if anybody knows about the one without expansion yet. please post a comment). by showing the growth rate at two times separated by N market days (shown as a price relative between the two dates). This gives the following textual answer and graphs. Note that there are many alternate ways to present this information, in particular the package PerformanceAnalytics. The time range corresponds to a time where quotes were not yet decimal. 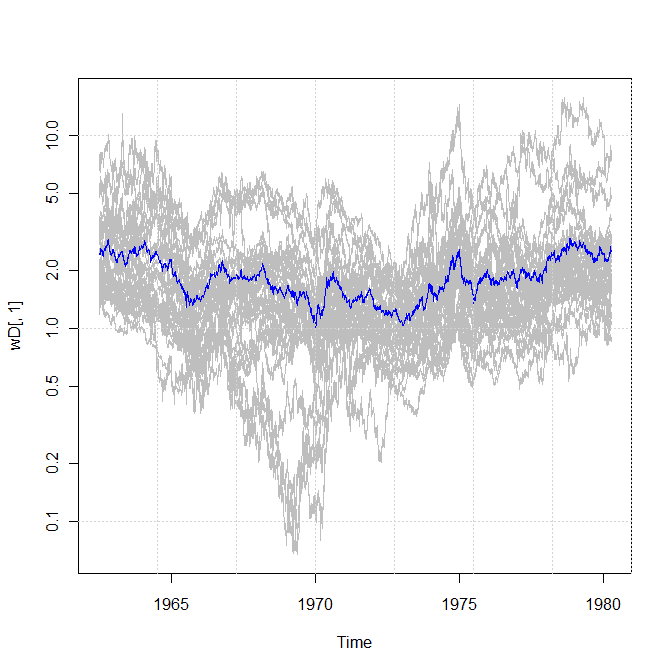 To leave a comment for the author, please follow the link and comment on their blog: logopt: a journey in R, finance and open source.